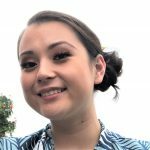 The gift from the Thirty Meter Telescope International Observatory totals over $28,000 in equipment that will aid in promoting cutting edge physics and astronomy at UH Hilo, for both physics and astronomy programming and computational projects. 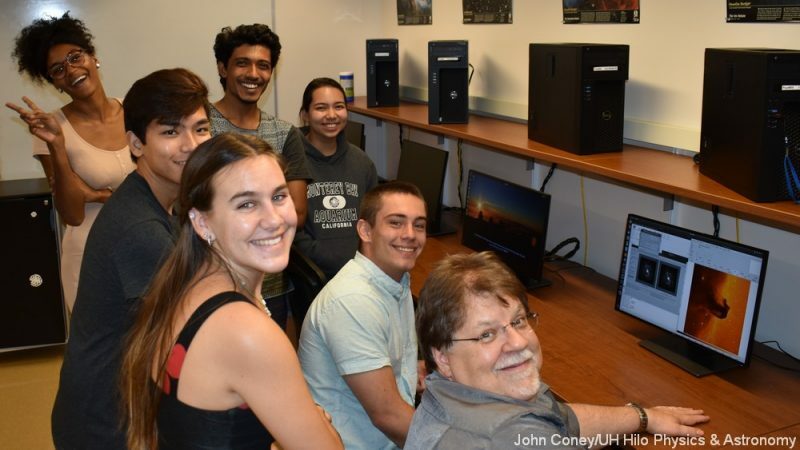 Pierre Martin (right), associate professor of astronomy and observatory director, with students in the upgraded computer lab. 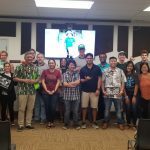 Students and researchers in the physics and astronomy program at University of Hawai‘i at Hilo are celebrating the installation of 12 brand new high-end desktops and monitors, along with a new data processing and storage Linux computer system, thanks to a generous donation by the Thirty Meter Telescope International Observatory. The Department of Physics and Astronomy held a dedication of the newly equipped lab at the start of the semester. 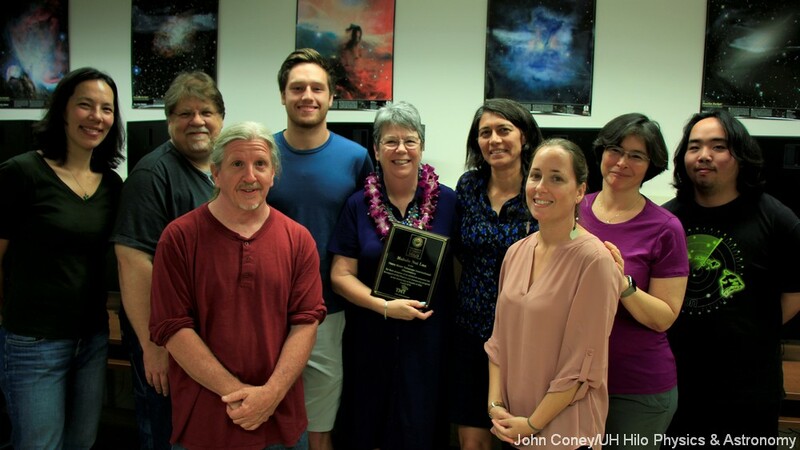 At the dedication of the new computer lab, faculty and students from the UH Hilo physics and astronomy program with TMT community liaison Sandra Dawson. (L-R) Associate Professor Kathy Cooksey, Associate Professor R. Pierre Martin, Instructor Dan O’Connor, student Kyle Steckler, TMT community liaison Sandra Dawson, Professor Marianne Takamiya, Assistant Professor Heather Kaluna, Cathy Ishida, and student Kenji Emerson. Aug. 27, 2018. The TMT gift totals over $28,000 in equipment, supporting the replacement of 10 aged computers purchased in 2010 that no longer met departments needs. 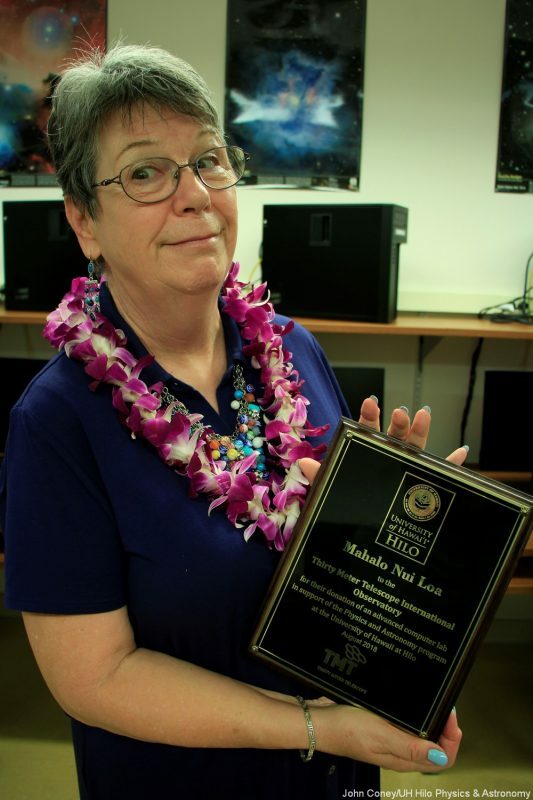 Sandra Dawson, TMT community liaison, holds a plaque from the UH Hilo Department of Physics and Astronomy, thanking TMT for gift. Photo by John Coney, dedication of the upgraded computer lab, Aug 27, 2018. 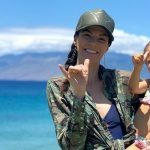 Sandra Dawson, TMT’s community outreach coordinator, says Coney sent her an email telling her that the UH Hilo physics and astronomy computer lab was out of date. Coney says the new computers and the dual Xeon 12tb data processing server are probably the only dedicated Linux lab on campus. It is an operating system used by astronomy and physics scientists; the majority of the world uses Linux as a server operating system platform. 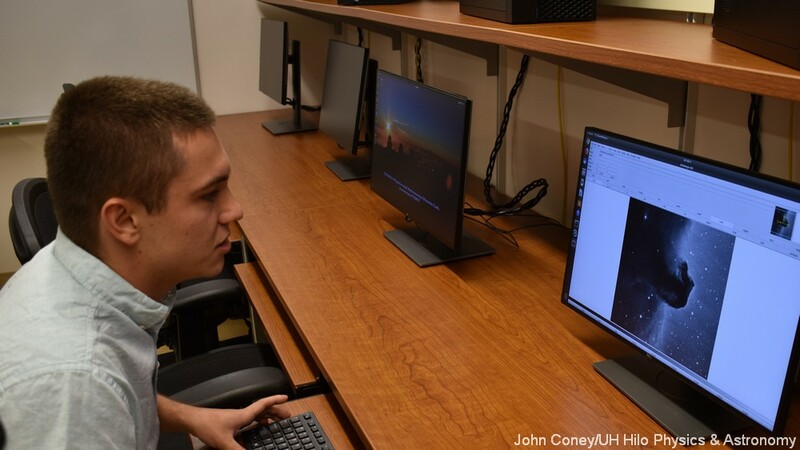 A summer class, Software Systems for Astronomy taught by Al Conrad, an astronomer from the University of Arizona, is popular with international students for the past four years, will find the new equipment extremely beneficial. 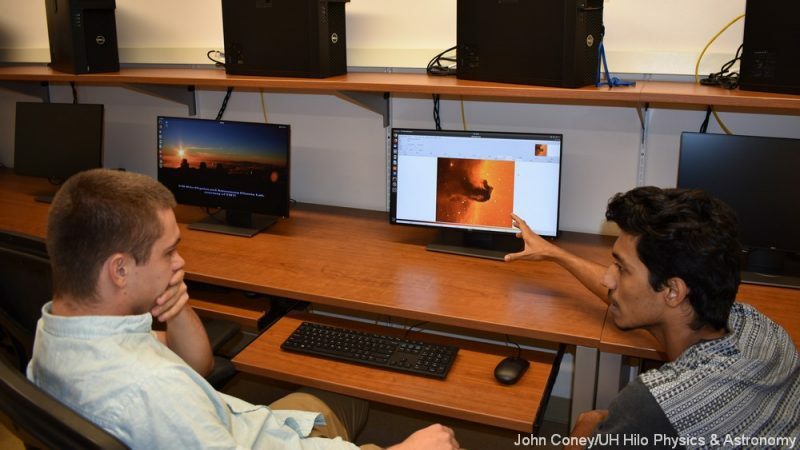 Two astronomy students using new computer system. Dawson attended the dedication of the newly equipped lab. Susan Enright is a public information specialist in the Office of the Chancellor. 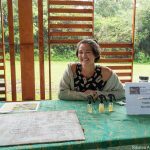 She received her bachelor of arts in English and certificate in women’s studies from UH Hilo. 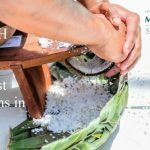 Some rights reserved for content and photos found on this website.